Moe and Mark discuss exercises, meditations and focusing techniques to train your mind for mental toughness, emotional resilience and uncanny intuition and how along the way you'll reaffirm your ultimate purpose, define your most important goals, and take concrete steps to make them happen. In my sophomore year of college, one of my closest friends opted to forgo school and give the military a shot. Josh and I grew up together, starting out in soccer, before we quickly learned that football was our true calling. Neither of us had played pop warner, but we loved the game so much that in the summer before our freshman year, we made a pack to give it a shot. We were both small - around 5’6’’ and a mere 140 pounds, not hardly the linebacker physique, still we were determined to prove our naysayers wrong. 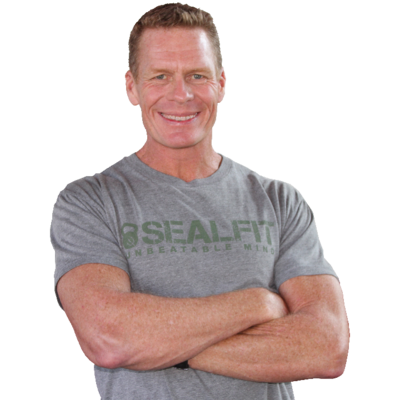 So, we turned to weight training and luckily for us, the owner of the gym was a former Navy Seal who appreciated our commitment and decided to mentor us.